This week mortgage rates have risen .25% – .375% in rate. This is largely due to an improving economy. If Wall Street is happy with the economy then rates rise. Retail sales have grown and a majority of the retail sectors are showing signs of growth. The sad part of this news is that rates have risen just before HARP 2.0 takes effect. This program is going to allow underwater homeowners who have been making their payments the opportunity to refinance into a lower interest rate regardless of the appraised value. If you are in the market to purchase, now is the time to buy. 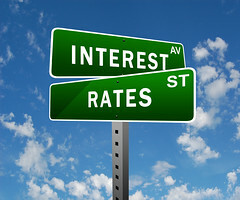 You will be able to afford a much larger house at a lower interest rate. If you are planning on using HARP 2.0, you need to act now. As mentioned in previous blog posts, higher demand means higher rates. You need to get your paperwork in place so when HARP 2.0 is released, you will be ready.. Call for a free quote or complete an online preapproval at www.chuckwalden.com .